Apple at WWDC 2018 announced watchOS 5 as the newest operating system for Apple Watch. 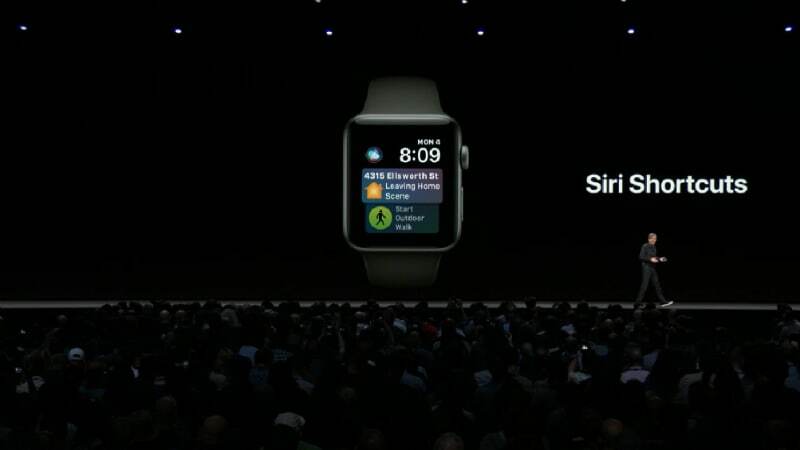 The new platform brings a list of anticipated features, including third-party app support on the Siri watch face and the ability to offer Watch to Watch communication through an all-new feature called Walkie-Talkie. There is also a bunch of new content, including live sports scores, commute time from one place to another, and heart rate after a workout. Apple will release watchOS 5 as a free update for Apple Watch Series 1 and later, dropping the support for the original Apple Watch. The platform will hit eligible Apple Watch models starting this Fall, and requires an iPhone 5s or later device running iOS 12. The developer beta of watchOS 5 is now available for developers via the Apple site. Apple only mentioned this briefly, but it should come as good news to users in India - watchOS 5 will bring Hindi Localisation support, bringing system-wide support for the language. Another major new feature is the ability to raise your wrist to speak with Siri - users no longer need to say Hey Siri to speak a voice command. The new watchOS also includes an upgraded Activity Sharing functionality that lets users invite their friends to compete in a seven-day Activity competition and earn points for closing Activity Rings. There is also an auto-work detection feature that as its name suggests, auto-detects the start and end of a workout using the built-in sensors of the Apple Watch and using machine learning algorithms. If a user press start after actually beginning a workout, the new feature provides with retroactive credits for that same workout. Similarly, the new feature also gives reminders to end workout sessions after a period of inactivity. This helps if a user forgets to hit the End Workout button. Apple has also notably added Yoga and Hiking as the new workout types, making the total workout count of 14 types. Apple has additionally added a new metric in watchOS 5, called rolling last mile, to show pace for the immediately preceding mile in addition to the average pace or the current pace of the runners. There's also a new cadence metric (steps per minute), and a new pace alarm that alert users if they are behind their chosen pace. Apart from the fitness-centric features, watchOS 5 has the Walkie-Talkie feature that lets users communicate with other Apple Watch wearers simply by tapping of the wrist. The feature uses Wi-Fi or cellular connectivity to enable voice communication with any Apple Watch user available around the globe. Users will first have to accept the Walk-Talkie request, and then can proceed to chat at any time of day with the press of a button. The new watchOS also has an updated Siri watch face that brings new predictive and proactive shortcuts throughout the day based on routines, locations, and information available, including heart rate after a workout, communicate time at the appropriate time of the day, or sports scores for a particular team. The Siri face has also received the ability to show actionable content from third-party apps, such as Nike+ Run Club, Glow Baby, and Mobike. Likewise, there are enhanced notifications from third-party apps. These come with interactive controls and work without actually letting users open the app on their connected iPhone. While Apple had introduced music streaming features with watchOS 4, it has now brought Apple Podcasts support. Episodes will sync to Apple Watch as well. Apple announced an improved WorkOut API for greater performance of native apps and the ability for third-party apps to play background audio. Users can leverage the audio playback support to play audiobooks, favourite playlists and guided meditations on their Apple Watch while on the go. If the app supports it, the content can be synced offline to be heard on the go. Furthermore, watchOS 5 brings the awaited customise button arrangements in the Control Center. There's also Student ID Card integration, letting students of supporting universities make their Apple Watch a virtual student ID card. This will let students user their Apple Watch to enter areas normally limited in access to those with student ID cards. At the WWDC keynote, Apple also revealed a Pride Edition Woven Nylon band that has a rainbow stripe - with a donation being made to the LGBTQ advocacy organisations, including Gender Spectrum, GLSEN, ILGA, PFLAG, The National Center for Transgender Equality and The Trevor Project. Also, Apple Watch users can also download the dedicated Pride watch face starting today. Will iOS 12 boost sales of affordable iPhones in India? We discussed that on Orbital, our weekly technology podcast, which you can subscribe to via Apple Podcasts or RSS, download the episode, or just hit the play button below.